Northampton rarely honours its musical offspring. Ask random people on the street who the town’s most famous sons are and, at best, you’ll be greeted with a blank stare. While Birmingham, Liverpool and Manchester commemorate their icons with museums and tourist trails, Bauhaus have been confined to the attic like the madwoman in Jane Eyre. As the harbingers of gothic rock they really deserve a lot better and the release of The Bela Sessions is a timely reminder of the black magic they possessed. A mere six weeks after forming Bauhaus entered Beck Studio in Wellingborough and recorded their first session in six hours. Sometimes in rock music the stars align and genius arrives fully formed and that was certainly the case with the opening cut, the now legendary ‘Bela Lugosi’s Dead’. Recorded in one take it’s the sound of a band on the same wavelength and locking in together with a telepathic assurance. It’s nine and a half minutes that spawned the most maligned youth subculture. As a song it works precisely because of its sparseness: the drums puncture the huge white space while the guitars replicate the sound of bats in the belfry and its not until three minutes elapse that vocalist Pete Murphy enters with his deep sonorous voice. With a cinematic quality the song has rightly taken its place in the pantheon of rock history and finally released with the mastering it deserves it sounds more haunting and sinister than ever before. 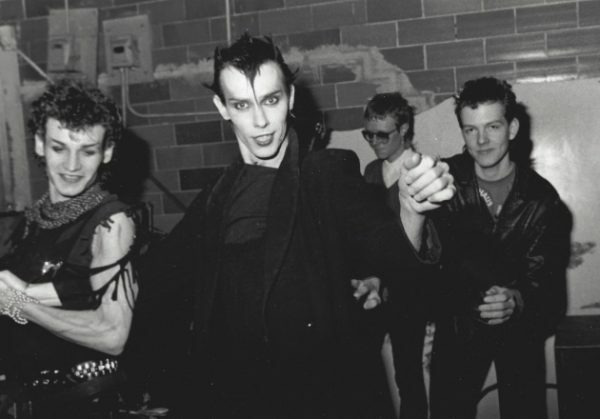 This EP contains three unreleased tracks from that session: ‘Some Faces’, ‘Bite My Hip’ and ‘Boys’ which, in many ways, are the antithesis of ‘Bela Lugosi’s Dead’ yet they also display a multi-faceted nature that defined Bauhaus’ career. The adrenaline rush of ‘Some Faces’ is a near perfect new wave song while ‘Bite My Hip’ contains post-punk leanings with its angular and abrasive guitars and exhibits a dark lyrical humour that permeated much of their work. It’s no secret that bassist David J was a reggae aficionado and Harry exhibits a love of dub. In a similar fashion to Joy Division’s Peter Hook he played his bass like a lead guitar and like much reggae, ‘Harry’ is bass heavy but here it’s played with a punk sensibility. Later released as the B side of the ‘Kick in the Eye’ single in 1982 this ode to Blondie’s Debbie Harry will forever change the way you look at that band! 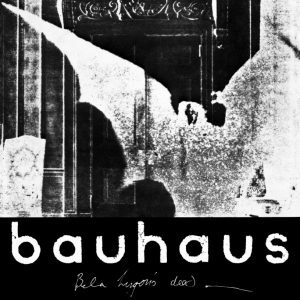 A timely reissue of this immortal classic as Bauhaus are about to celebrate their ruby anniversary and this release is the first time Bela has appeared on vinyl for 30 years. This release has enough quality to attract die-hard fans and is an ideal place for the uninitiated to become acquainted.